Horror stories about the food industry have long been with us — ever since 1906, when Upton Sinclair’s landmark novel The Jungle told some ugly truths about how America produces its meat. In the century that followed, things got much better, and in some ways much worse. The U.S. agricultural industry can now produce unlimited quantities of meat and grains at remarkably cheap prices. But it does so at a high cost to the environment, animals and humans. Those hidden prices are the creeping erosion of our fertile farmland, cages for egg-laying chickens so packed that the birds can’t even raise their wings and the scary rise of antibiotic-resistant bacteria among farm animals. Add to the price tag the acceleration of global warming — our energy-intensive food system uses 19% of U.S. fossil fuels, more than any other sector of the economy. Some Americans are heeding such warnings and working to transform the way the country eats — ranchers and farmers who are raising sustainable food in ways that don’t bankrupt the earth. Documentaries like the scathing Food Inc. and the work of investigative journalists like Eric Schlosser and Michael Pollan are reprising Sinclair’s work, awakening a sleeping public to the uncomfortable realities of how we eat. Change is also coming from the very top. First Lady Michelle Obama’s White House garden has so far yielded more than 225 lb. of organic produce — and tons of powerful symbolism. But hers is still a losing battle. Despite increasing public awareness, sustainable agriculture, while the fastest-growing sector of the food industry, remains a tiny enterprise: according to the most recent data from the U.S. Department of Agriculture (USDA), less than 1% of American cropland is farmed organically. Sustainable food is also pricier than conventional food and harder to find. And while large companies like General Mills have opened organic divisions, purists worry that the very definition of sustainability will be co-opted as a result. But we don’t have the luxury of philosophizing about food. With the exhaustion of the soil, the impact of global warming and the inevitably rising price of oil — which will affect everything from fertilizer to supermarket electricity bills — our industrial style of food production will end sooner or later. As the developing world grows richer, hundreds of millions of people will want to shift to the same calorie-heavy, protein-rich diet that has made Americans so unhealthy — demand for meat and poultry worldwide is set to rise 25% by 2015 — but the earth can no longer deliver. Unless Americans radically rethink the way they grow and consume food, they face a future of eroded farmland, hollowed-out countryside, scarier germs, higher health costs — and bland taste. Sustainable food has an elitist reputation, but each of us depends on the soil, animals and plants — and as every farmer knows, if you don’t take care of your land, it can’t take care of you. For all the grumbling you do about your weekly grocery bill, the fact is you’ve never had it so good, at least in terms of what you pay for every calorie you eat. According to the USDA, Americans spend less than 10% of their incomes on food, down from 18% in 1966. Those savings begin with the remarkable success of one crop: corn. Corn is king on the American farm, with production passing 12 billion bu. annually, up from 4 billion bu. as recently as 1970. When we eat a cheeseburger, a Chicken McNugget, or drink soda, we’re eating the corn that grows on vast, monocrop fields in Midwestern states like Iowa. So what’s wrong with cheap food and cheap meat — especially in a world in which more than 1 billion people go hungry? A lot. For one thing, not all food is equally inexpensive; fruits and vegetables don’t receive the same price supports as grains. A study in the American Journal of Clinical Nutrition found that a dollar could buy 1,200 calories of potato chips or 875 calories of soda but just 250 calories of vegetables or 170 calories of fresh fruit. With the backing of the government, farmers are producing more calories — some 500 more per person per day since the 1970s — but too many are unhealthy calories. Given that, it’s no surprise we’re so fat; it simply costs too much to be thin. Our expanding girth is just one consequence of mainstream farming. Another is chemicals. No one doubts the power of chemical fertilizer to pull more crop from a field. American farmers now produce an astounding 153 bu. of corn per acre, up from 118 as recently as 1990. But the quantity of that fertilizer is flat-out scary: more than 10 million tons for corn alone — and nearly 23 million for all crops. When runoff from the fields of the Midwest reaches the Gulf of Mexico, it contributes to what’s known as a dead zone, a seasonal, approximately 6,000-sq.-mi. area that has almost no oxygen and therefore almost no sea life. Because of the dead zone, the $2.8 billion Gulf of Mexico fishing industry loses 212,000 metric tons of seafood a year, and around the world, there are nearly 400 similar dead zones. Even as we produce more high-fat, high-calorie foods, we destroy one of our leanest and healthiest sources of protein. The food industry’s degradation of animal life, of course, isn’t limited to fish. Though we might still like to imagine our food being raised by Old MacDonald, chances are your burger or your sausage came from what are called concentrated-animal feeding operations (CAFOs), which are every bit as industrial as they sound. In CAFOs, large numbers of animals — 1,000 or more in the case of cattle and tens of thousands for chicken and pigs — are kept in close, concentrated conditions and fattened up for slaughter as fast as possible, contributing to efficiencies of scale and thus lower prices. But animals aren’t widgets with legs. They’re living creatures, and there are consequences to packing them in prison-like conditions. For instance: Where does all that manure go? Pound for pound, a pig produces approximately four times the amount of waste a human does, and what factory farms do with that mess gets comparatively little oversight. Most hog waste is disposed of in open-air lagoons, which can overflow in heavy rain and contaminate nearby streams and rivers. 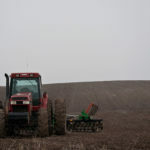 “This creek that we used to wade in, that creek that our parents could drink out of, our kids can’t even play in anymore,” says Jayne Clampitt, a farmer in Independence, Iowa, who lives near a number of hog farms. To stay alive and grow in such conditions, farm animals need pharmaceutical help, which can have further damaging consequences for humans. Overuse of antibiotics on farm animals leads, inevitably, to antibiotic-resistant bacteria, and the same bugs that infect animals can infect us too. The UCS estimates that about 70% of antimicrobial drugs used in America are given not to people but to animals, which means we’re breeding more of those deadly organisms every day. The Institute of Medicine estimated in 1998 that antibiotic resistance cost the public-health system $4 billion to $5 billion a year — a figure that’s almost certainly higher now. 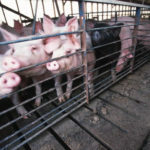 “I don’t think CAFOs would be able to function as they do now without the widespread use of antibiotics,” says Robert Martin, who was the executive director of the Pew Commission on Industrial Farm Animal Production. Such a measure would get at a symptom of the problem but not at the source. Just as the burning of fossil fuels that is causing global warming requires more than a tweaking of mileage standards, the manifold problems of our food system require a comprehensive solution. “There should be a recognition that what we are doing is unsustainable,” says Martin. And yet, still we must eat. So what can we do? The Nimans like to call what they do “beyond organic,” and there are some signs that consumers are beginning to catch up. This November, California voters approved a ballot proposition that guarantees farm animals enough space to lie down, stand up and turn around. Worldwide, organic food — a sometimes slippery term but on the whole a practice more sustainable than conventional food — is worth more than $46 billion. That’s still a small slice of the overall food pie, but it’s growing, even in a global recession. “There is more pent-up demand for organic than there is production,” says Bill Wolf, a co-founder of the organic-food consultancy Wolf DiMatteo and Associates. So what will it take for sustainable food production to spread? It’s clear that scaling up must begin with a sort of scaling down — a distributed system of many local or regional food producers as opposed to just a few massive ones. Since 1935, consolidation and industrialization have seen the number of U.S. farms decline from 6.8 million to fewer than 2 million — with the average farmer now feeding 129 Americans, compared with 19 people in 1940. It’s that very efficiency that’s led to the problems and is in turn spurring a backlash, reflected not just in the growth of farmers’ markets or the growing involvement of big corporations in organics but also in the local-food movement, in which restaurants and large catering services buy from suppliers in their areas, thereby improving freshness, supporting small-scale agriculture and reducing the so-called food miles between field and plate. That in turn slashes transportation costs and reduces the industry’s carbon footprint. One model for how the new paradigm could work is Niman Ranch, a larger operation that Bill Niman founded in the 1990s, before he left in 2007. (By his own admission, he’s a better farmer than he is a businessman.) The company has knitted together hundreds of small-scale farmers into a network that sells all-natural pork, beef and lamb to retailers and restaurants. In doing so, it leverages economies of scale while letting the farmers take proper care of their land and animals. “We like to think of ourselves as a force for a local-farming community, not as a large corporation,” says Jeff Swain, Niman Ranch’s CEO. Other examples include the Mexican-fast-food chain Chipotle, which now sources its pork from Niman Ranch and gets its other meats and much of its beans from natural and organic sources. It’s part of a commitment that Chipotle founder Steve Ells made years ago, not just because sustainable ingredients were better for the planet but because they tasted better too — a philosophy he calls Food with Integrity. It’s not cheap for Chipotle — food makes up more than 32% of its costs, the highest in the fast-food industry. But to Ells, the taste more than compensates, and Chipotle’s higher prices haven’t stopped the company’s rapid growth, from 16 stores in 1998 to over 900 today. “We put a lot of energy into finding farmers who are committed to raising better food,” says Ells. Bon Appetit Management Company, a caterer based in Palo Alto, Calif., takes that commitment even further. The company sources as much of its produce as possible from within 150 miles of its kitchens and gets its meat from farmers who eschew antibiotics. Bon Appetit also tries to influence its customers’ habits by nudging them toward greener choices. That includes campaigns to reduce food waste, in part by encouraging servers at its kitchens to offer smaller, more manageable portions. (The USDA estimates that Americans throw out 14% of the food we buy, which means that much of our record-breaking harvests ends up in the garbage.) And Bon Appetit supports a low-carbon diet, one that uses less meat and dairy, since both have a greater carbon footprint than fruit, vegetables and grain. The success of the overall operation demonstrates that sustainable food can work at an institutional scale bigger than an elite restaurant, a small market or a gourmet’s kitchen — provided customers support it. “Ultimately it’s going to be consumer demand that will cause change, not Washington,” says Fedele Bauccio, Bon Appetit’s co-founder. How willing are consumers to rethink the way they shop for — and eat — food? For most people, price will remain the biggest obstacle. Organic food continues to cost on average several times more than its conventional counterparts, and no one goes to farmers’ markets for bargains. But not all costs can be measured by a price tag. Once you factor in crop subsidies, ecological damage and what we pay in health-care bills after our fatty, sugary diet makes us sick, conventionally produced food looks a lot pricier. Whether that happens will ultimately come down to all of us, since we have the chance to choose better food three times a day (or more often, if we’re particularly hungry). It’s true that most of us would prefer not to think too much about where our food comes from or what it’s doing to the planet — after all, as Chipotle’s Ells points out, eating is not exactly a “heady intellectual event.” But if there’s one difference between industrial agriculture and the emerging alternative, it’s that very thing: consciousness. Niman takes care with each of his cattle, just as an organic farmer takes care of his produce and smart shoppers take care with what they put in their shopping cart and on the family dinner table. The industrial food system fills us up but leaves us empty — it’s based on selective forgetting. But what we eat — how it’s raised and how it gets to us — has consequences that can’t be ignored any longer.